Avangard (Objekt 4202) can carry many payloads include RS-28 Sarmat super-heavy ICBM. As the year comes to an end and US soldiers withdrawing from Syria in a complete dismay and demoralized, we must reflect with solemnly salutation to ''Pantsir-S1 System'' a decisive weapon that changed Syria's war for ever. The Syrian civil war began as just a simple normal call for students on the streets, then quickly the Syrian domestic problems was hi-jacked by multi-national mercenaries funded by CIA and Mossad to hire para-militia from all corners of the globe. Damascus was turned into serious battleground,which left more than 400,000 people dead and millions displaced. The world have seen US and allies spent over $2 billions and Arab nations spent $137 billion to arm rebels in Syria, the so-called Free Syrian Army (FSA) that began to form in the summer of 2011, together with Islamist and jihadist groups such as Ahrar al-Sham, al-Nusra Front. The Western support for the "moderate" armed groups the same outfits of Islamist insurgencies "caliphate", ISIS that later took large territory of Syria and Iraq in 2014. 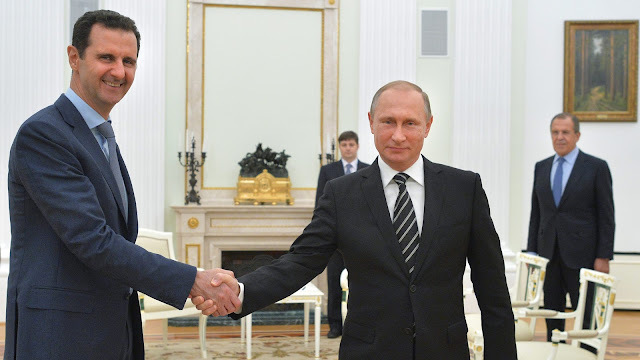 In September 2015, President Vladimir Putin ordered the deployment of Russian forces in Syria. The intervention surprised the west that were believed Russia couldn't able to make any impact in that conflict, judging that Russia is already under economic sanction and the only last war experience they have was during Soviet–Afghan War (1979 - 198). When Moscow entered into that conflict the military tide was overturned immediately in favor for Assad's government. Syrian war was marked as major conflict that could take many decades and cost more materials before come to an end. 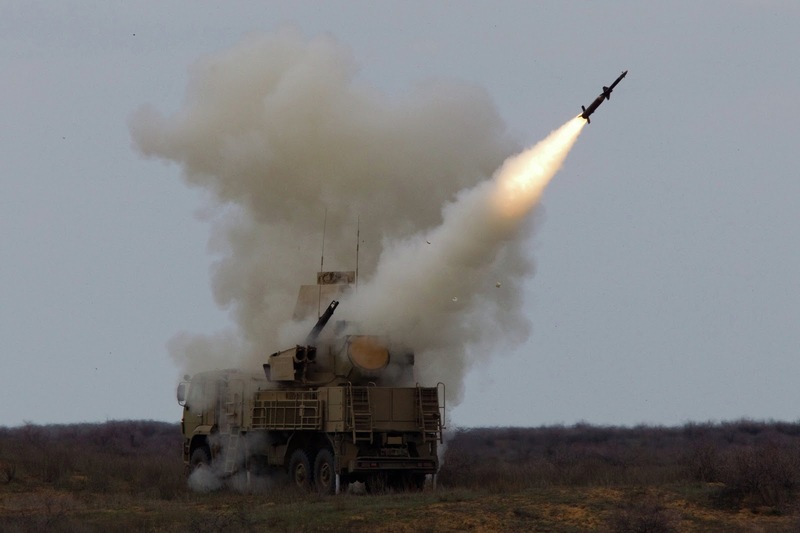 Thanks to ''Pantsir-S1 Systems'' that shaped the course of the Syrian conflict. The mission accomplice in Syria also attributed to the following armaments of Russian Armed Forces like Tupolev Tu-160 supersonic strategic bombers, Tu-22M3 supersonic bombers and Tu-95 propeller-driven bombers, as well as Mikoyan MiG-29K fighters and Ka-52K Katran helicopters that dominated the Syrian airspace. 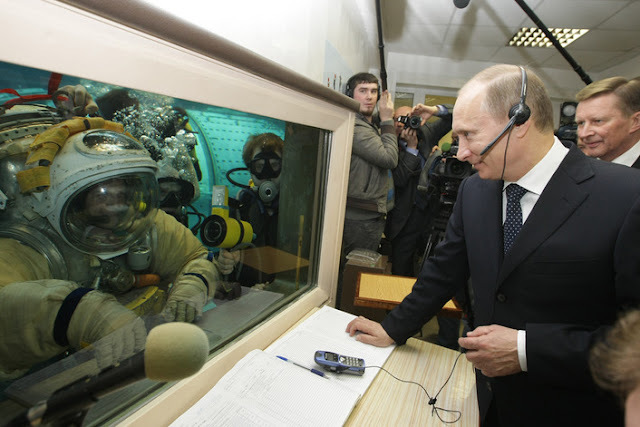 Mr. Putin also specifically praised the Sukhoi Su-35 and Su-30SM fighter jets for exceeding expectations. Russia sent S-300s to Syria after a deadly international incident involving an Israeli air raid on a suspected Iranian weapons depot in September. The Russian Defense Ministry earlier reported that Pantsir-S1 systems (SA-22 Greyhound NATO code name) have shown near 100% efficiency against multi-salvo from US,UK and French in a combined strike on Syrian positions, when most of the missiles fired to the target were intercepted. Russia has played a major role in the Syrian civil war and has successful liberated Syria. Pantsir-S1 System: The system is designed for air defense of small military and administrative-industrial objects and areas against aircrafts, helicopters, cruise missiles and high-precision weapons, guided air bombs and unmanned aerial vehicles as well as for reinforcement of AD groups during repulse of massive air strikes and ensuring of engagement of lightly-armored targets. Characteristics: The missile system can carries up to twelve 57E6 or 57E6-E two-stage solid fuel radio-command-guided surface-to-air missiles in sealed ready-to-launch containers. Missiles are arranged into two six-tube groups on the turret. The missile has a bicalibre body in tandem configuration. The first stage is a booster, providing rapid acceleration within the first 2 second of flight, after it is separated from the sustainer-stage. The sustainer is the highly agile part of the missile and contains the high explosive multiple continuous rod and fragmentation warhead, contact and proximity fuses as also radio transponder and laser responder that can be localised for guidance. The missile is not fitted with seeker to keep target engagement costs low. Instead high-precision target and missile tracking is provided via the systems multiband sensor system and guidance data is submitted via radio link for up to four missiles in flight. Missiles can be fired in at up to four targets but also salvos of two missiles at one target. Missile is believed to have a hit probability of 70-95% and have a 15 year storage lifetime in its sealed containers. Pantsir-S1 combat vehicles can fire missiles on the move. Armament: The armament of Pantsir-S1 consists of twelve 57E6 surface-to-air guided missiles and two 2A38M30-millimetre automatic guns developed from the two-barreled 30mm GSh-30 gun. It is provided with multi-range radar capable of detecting aerial targets with effective surface of dispersion of up to 2-3 square meters at a distance of more than 30 kilometers and track them down from a distance of over 24 kilometers. Variants: The Pantsir-S1 missile system can be mounted on different truck chassis include on battle tank. The new Pantsir S-2 system has a range of fire from 20 to 30 kilometers. Radars: Air-defense system must first be able to see its target. For this purpose, the Pantsir has 3 "pairs of eyes." The first is a target acquisition radar, which can detect enemy aircraft at a range of between 32 and 45 km 360 degree vision; the second is a tracking radar, which is responsible for locking on to the target when it enters system's range of fire. It can track up to 20 targets in a 45 degree cone-shaped field of view and guide up to 4 missiles simultaneously. If that's not enough, there is a third, infrared radar that is capable of detecting, acquiring and tracking targets even in low visibility conditions. It does this fully automatically. The three radars operate at the same time and work as a system. This is how the Pantsir-S1 achieves its impressive rate of engagement, up to 10 targets per minute. It takes only 4 to 6 seconds after a target is acquired to launch the first missile. For the autocannon, this is reduced to 1 to 2 seconds. The system can fire a second missile or switch targets as quickly as 1.5 seconds, which is currently quicker than any other system in the world. In addition to this, it has an anti-EW (electronic warfare) protection, which switches its operational frequencies using random numbers. Deployment: The Pantsir-S1 was unveiled for the first time to the public during the MAKS Air Show in Zhukosvsky near Moscow in 1995. In May 2000, the United Arab Emirates ordered 50 96K6 Pantsir-S1 systems, mounted on MAN SX 45 8×8 wheeled vehicles. The order was worth $734m. The first batch was delivered in November 2004. However a new radar was requested by the UAE and first deliveries of the completed system took place in 2007. 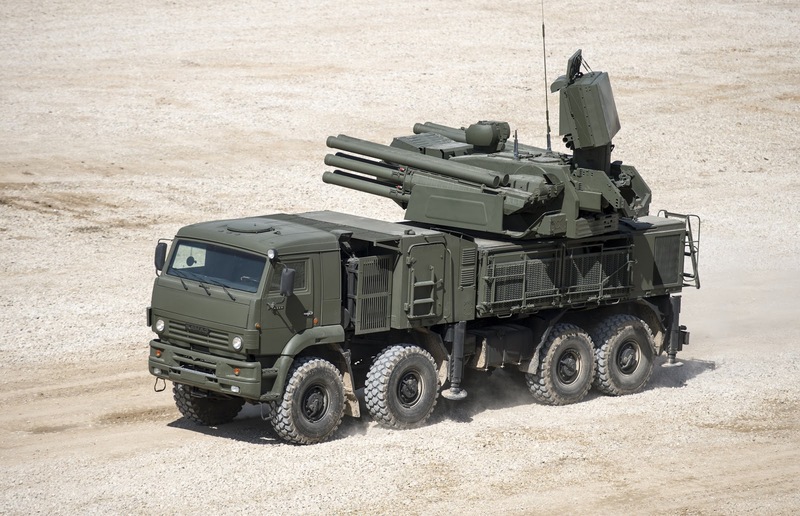 Syria has placed an order for 50 Pantsir-S1 systems. Deliveries began in June 2008. Jordan has also placed an order for an undisclosed number of systems. The first 10 Pantsir S1 (SA-22 Greyhound) antiaircraft surface-to-air missile systems entered service with the Russian Air Force the 18 March 2010. Combat: The Pantsir S-1 can fire at two targets at the same time and attack up to 12 targets within a minute. The system's effective range for missiles is 20 kilometers and the maximum altitude is eight kilometers, and for artillery shells up to three and four kilometers respectively. It can also operate in a passive mode using an infrared channel in the long-wave band with logical processing of the signal and automatic tracking. The Pantsir-S1 is able to defeat almost the entire spectrum of air threats, all types of precision guided weapons in particular, flying at a speed of up to 1,000 m/s and approaching from different bearings at an angle of 0- 10 ° to 60 - 70°, aircraft flying at a speed of up to 500 m/s, helicopters, remotely piloted vehicles, as well as light armoured ground targets and enemy manpower. The combination of missile and gun armament enabling the operator to create a continuous target engagement zone and fire at targets uninterruptedly beginning from their maximum range of 18 to 20 km up to a range of minimum 200 m. Target flying at an altitude of 5 to 15 km can be shot down. The Pantsir-S1 is equipped with multiple-mode adaptive radar/optical weapons control system operating in the UHF, EHF and IR regions of the spectrum. The system features high immunity to jamming, survivability in the presence of electronic countermeasures and under enemy fire. 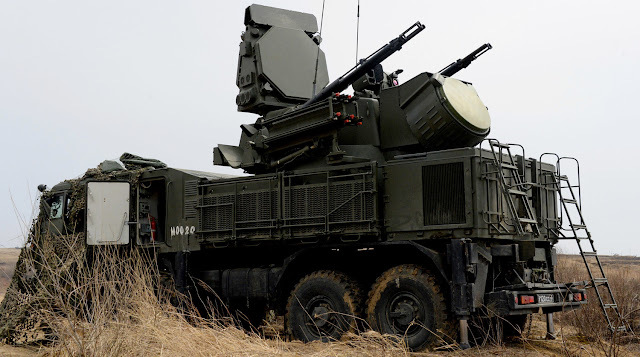 The Pantsir-S1 fire control system includes a target acquisition radar and dual waveband tracking radar (designation 1RS2-1E for export models), which operates in the UHF and EHF waveband. Detection range is 32–36 km and tracking range is 24–28 km for a target with 2 m2 RCS. This radar tracks both targets and the surface-to-air missile while in flight. As well as radar, the fire control system also has an electro-optic channel with long-wave thermal imager and infrared direction finder, including digital signal processing and automatic target tracking. A simplified, lower-cost version of Pantsir-S1 is also being developed for export, with only the electro-optic fire control system fitted. The two independent guidance channels - radar and electro-optic - allow two targets to be engaged simultaneously. Maximum engagement rate is up to 10 targets per minute. Pantsir-S1 part of Air Defense Command of the Western Military District firing in Syria. In other separated report Brazilian government have expressed the relevancy of procuring Russia's Pantsir-S1 anti-aircraft missile systems, Anatoly Punchuk, the deputy director of the Russian Federal Service for Military-Technical Cooperation (FSMTC), said. However the signing of the deal has been repeatedly delayed due to the complicated nature of the country's political situation.